Roots Vibration is a musical force that provides authentic Caribbean music. Made up of members from the exotic islands of the Caribbean and the funky streets of Detroit, this band will stimulate your senses with positive roots music. 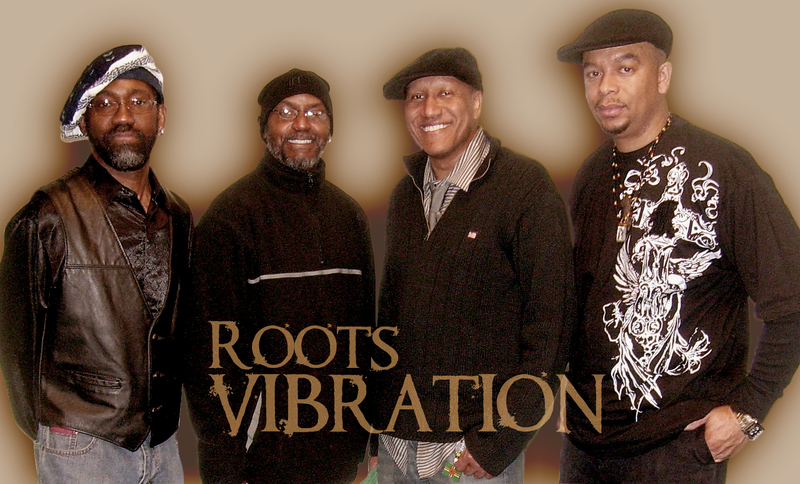 Roots Vibration’s sound is uplifting and fun, and features creative and seasoned musicians who have a multigenerational and multinational appeal. They bring decades of experience and authenticity to the Reggae scene. Roots Vibration founder and lead singer Winfred Julien, hailing from Dominica, West Indies, has been the driving force in the regional Caribbean and Reggae scene for two decades. He produced and performed on eight original CD’s and has worked with dozens of international, national, and local artists, including Calypso Rose. Roots Vibration has delighted audiences in the East, South, West and North with their unique blend of original and popular Caribbean music in Reggae, Zouk, Calypso, and Soca styles. Whenever Roots Vibration performs, it's Edutainment/Carnival time. Hailing from Dominica, W.I., Winfred has been the driving force in the regional Caribbean scene for two decades. The founder and brainchild of Detroit’s Universal Xpression, he produced and performed on eight original CD’s and has worked with dozens of international, national, and local artists, including Calypso Rose and opened for superstars like Burning Spear, Shaggy, Shabba Ranks, and Sanchez. Born and raised in Jamaica, Lennox has mastered playing drums and keyboards.Lennox combined his musical talents with his father's in Universal Xpression and Reggae Ambassador where they performed with reggae acts Black Uhuru, Shabba Ranks and Sugar Minott. Lennox has arranged drums, keyboards, and rap vocals for various local hip hop and R&B groups. Patrick was born in the U.S. and raised on the island of Nevis. However, his love for Caribbean music spans 10 years of performing and recording with local, regional and international bands, Hot Shots in Nevis, BQE in New York, and Universal Xpression. A multi-talented musician and songwriter. He has a broad range of musical training and has played with nationally known groups like the Temptations and Four Tops. He grooves with niceness. Born and raised in Grenada, W.I., Nigel has mastered the sound of the steel drums. He has won countless accolades for his work and continues to be an international educator on the steel drums. Nigel is the son of an original steel pan maker and master and says he came out playing pan. The latest CD "Detroit Live Sessions" available by email. Check the Michael Julien program on WDET 101.9 FM Saturday 10:00 pm - 12:00 am. Send mail to martin_sorhaindo@hotmail.com with questions or comments about this web site.